Welcome to another installment of our troubleshooting where we assist our readers who own the #Apple #iphone 6 fix the issues that they are experiencing with their phone. 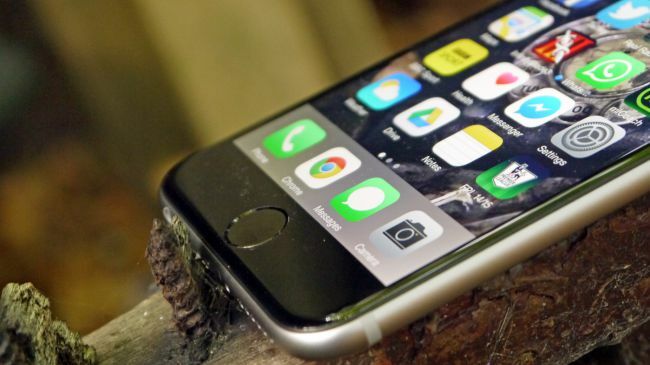 Today we will address the iPhone 6 backlight flickering problem. Normally, the backlight is uniformly lit making the light distribution on the screen even. In this particular case though it flickers a lot. Let’s take a look at this issue and see what needs to be done. Problem: Iphone 6 backlight flickering problem. This iphone has been underwater for 20 hours, I have managed to clean it and replace the screen and it is in working order for about 2 months now, the only problem is screen flickering. This was a problem with the original screen (water damaged one), once replaced it was not that severe but over time got worse and worse, now I have tried to re-replace the same screen and have noticed that if push the cable down with my finger and rub it it flickers to from full to no backlight at all. I assume this must be broken connections on the motherboard itself. Can you advise on what is needed to be done here? Would re-soldering the connectors on the motherboard work? Solution: The worst thing about having your phone come in contact with water is that the effect sometimes doesn’t show up immediately. In most cases issues will immediately appear on the device however there are instances when these issues can take days or weeks to show up right after the phone got wet. It’s very likely that this is what’s happening to your device right now. If you are familiar with the internal schematics of the phone then you can open the device and do a check on the most likely components that are failing. Start by checking the components responsible for making the display work. Re-soldering the connectors will also help in this case since you mentioned that if force is applied the display flickers. I would however suggest that you have your phone checked at a service center that’s capable of doing board level repairs.